How is the money we raise for the PTO spent? It is not all field trips and enrichment activities. As important as those things are to bring learning to life, the PTO also buys many vital resources needed at Abbot but not funded by the district. One example is the investment the PTO made this year in a standing desk for our students with special needs. Standing desks are a simple and research proven intervention for students who for various reasons have a harder time concentrating on school work. 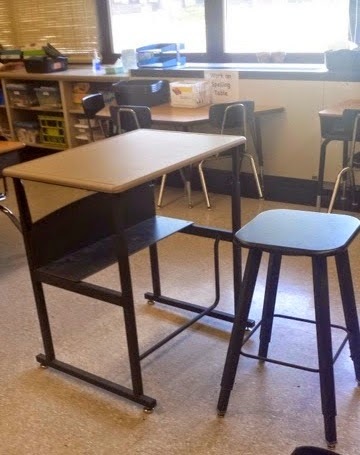 Being able to stand or sit on a stool and slide a silent foot rest back and forth enables students to release some physical energy that otherwise would interfere with focusing on school work. Tracie Frailey, the Resource Room teacher, reports that this simple solution is really working. Students even request to use it when they find that they are having trouble sitting still and concentrating on learning. Judging of the many creatively decorated cakes donated for our annual Cake Walk fundraiser took place on May 30th at the Ice Cream Social. Congratulations to the following winners on their amazing cakes and thank you to everyone for their participation and their cake donations. We had so many cute cakes! 1st Place – Sean G.
2nd Place – Meghan A. 3rd Place – Anneliese J. 1st Place – Mason J. 2nd Place – Logan B. 1st Place – Melissa B. 2nd Place – Bella P.
3rd Place – Carter M.
Thank you everyone who helped make our Ice Cream Social such a success. Not only did we meet our fundraising goal this year, we exceeded it by $1,000! This is great news for our school and especially for our second graders. 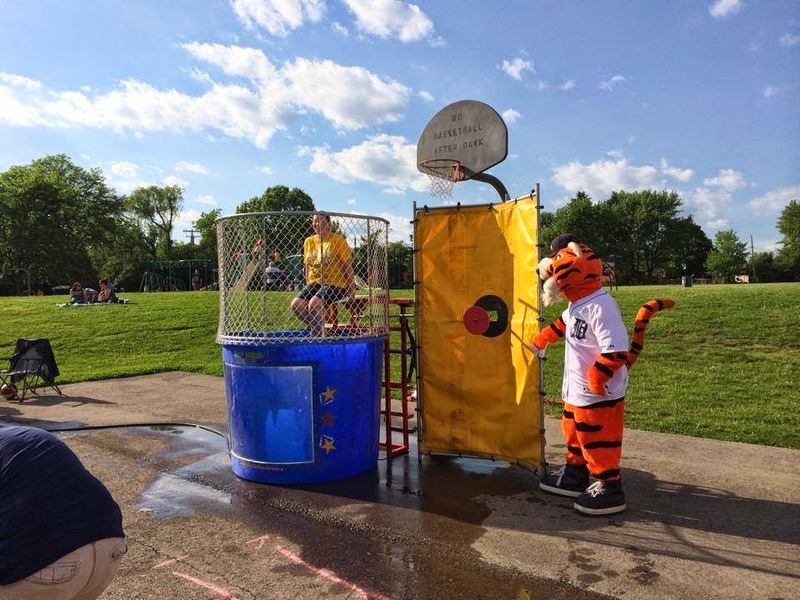 As you may recall, we had a special fundraising challenge for this year's ice cream social. If we beat our fundraising goal by at least $1,000, we would send an additional grade to attend a University Musical Society (UMS) performance next year. Because of the hard work of all of our volunteers, the funding of our sponsors and the generosity of all those who attended this year's event, we will now send all students in grades 3, 4 and 5, plus grade 2, to a UMS event to hear world-class music performed by renowned artists.